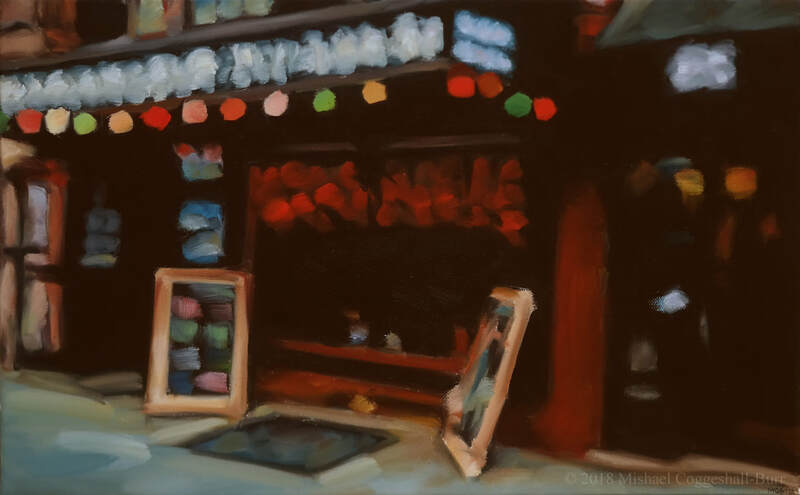 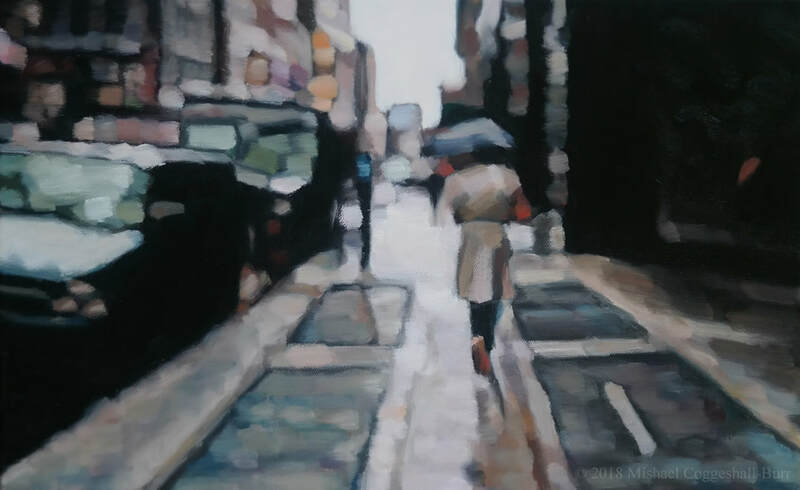 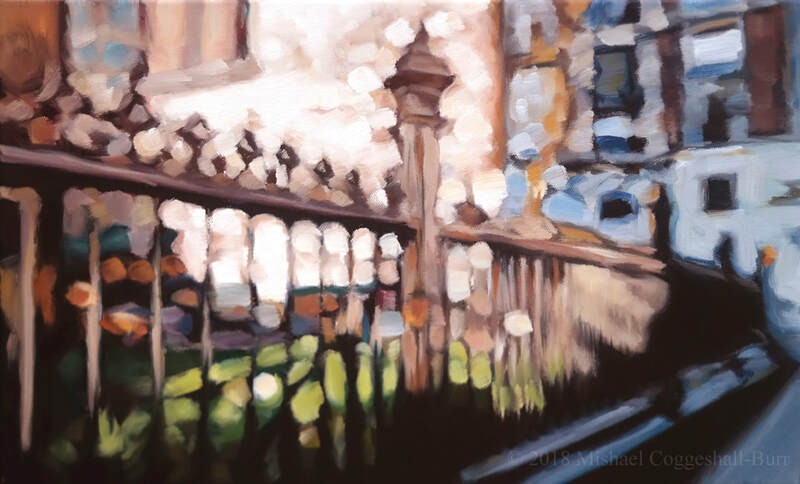 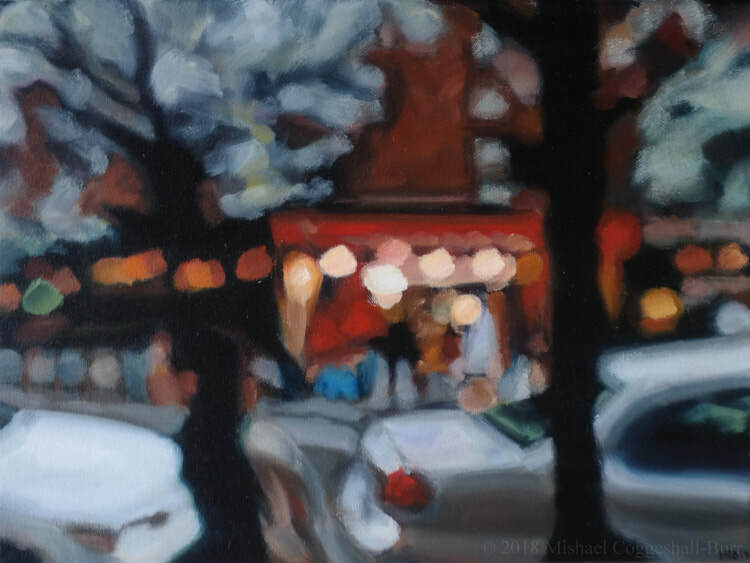 ​In his urban landscapes from New York City, Paris, and San Juan, Puerto Rico, Montague artist Mishael Coggeshall-Burr integrates the art of photography and oil painting to create novel and compelling images on canvas. 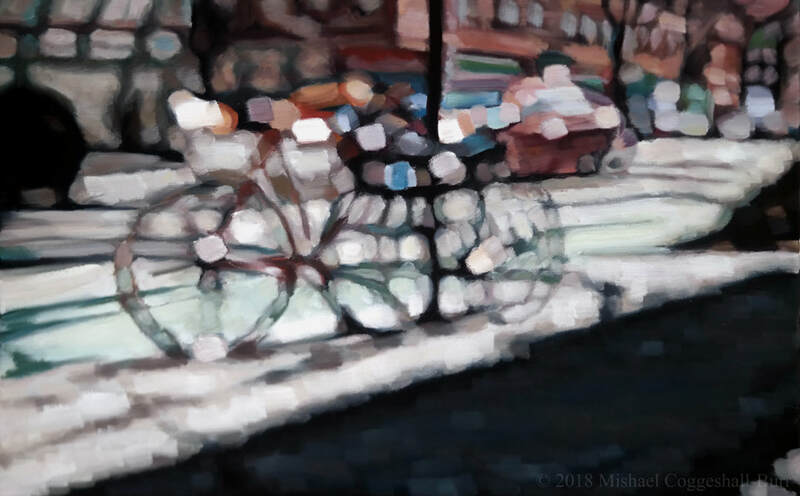 Taking blurred shots with a 35mm camera, the artist searches for peripheral scenes with cinematic color and tone. 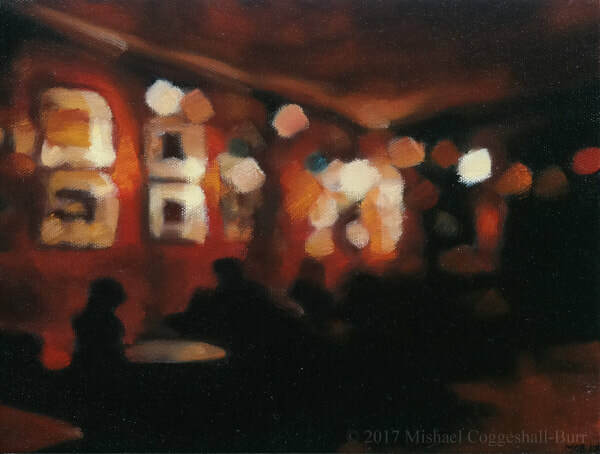 He translates selected images into abstract-realist paintings with convincing color, formal structure, and subtle references to art history. 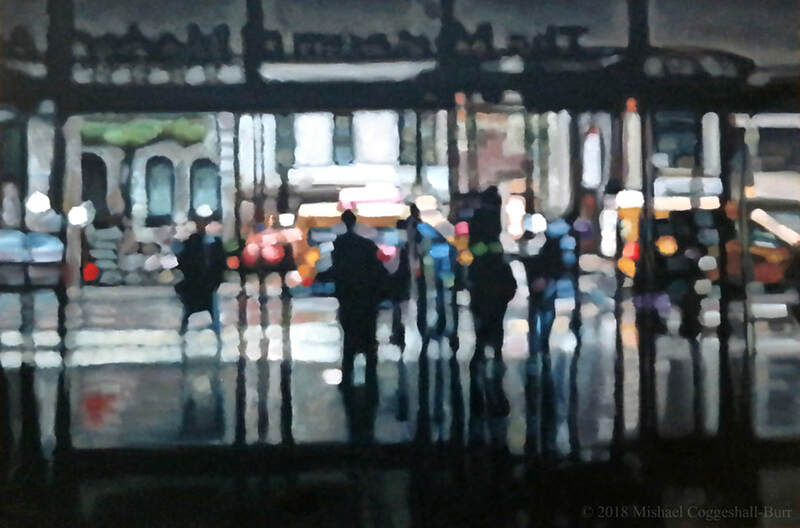 Through his actions Mishael questions both the truth of photography and the fiction of painting: we enter a liquid, cinematic space, capturing the magic moment when Alice seems to step through the looking glass. 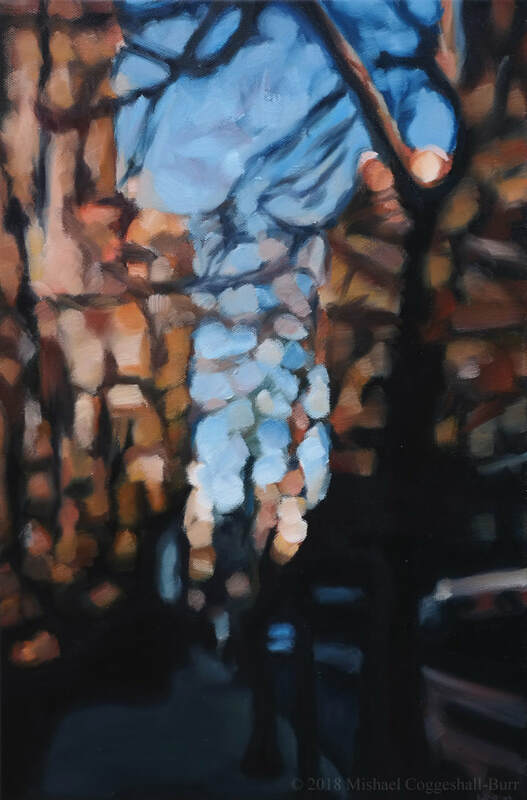 The photorealistic image melts away, the prosaic merges with poetry.